Sail with this beautiful Portsmouth "Gaastra" T-Shirt, luxur..
Sail with this beautiful Cape Verde "Gaastra" T-Shirt, luxur..
A real classic is this T-Shirt with a luxurious embroidered ..
A real classic is this Poloshirt with a luxurious embroidere..
Gaastra ® Men's Sweatshirt "Sail Supplier"
The GAASTRA sweatshirt is an eye catcher because of the deta.. The GAASTRA sweatshirt is an eye catcher because of the brea..
Gaastra ® Men's Sweatshirt "REG.T.M. -97"
Sporty body warmer from Gaastra with luxury logo processing .. 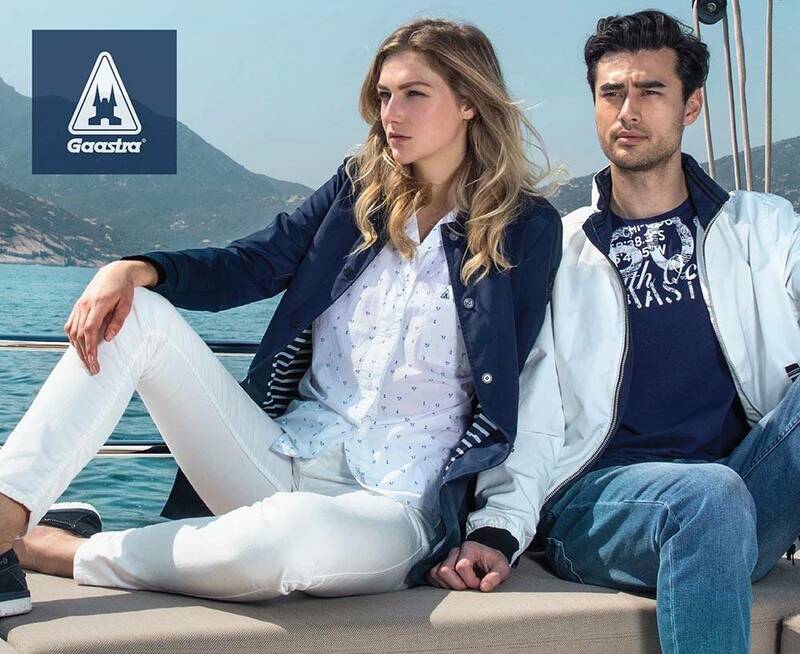 In our shop you will find timeless fashion related to the nautical lifestyle brand Gaastra. We offer a large assortment for men and women. Gaastra is an original fashion brand from the Netherlands and was founded in 1897 from nautical passion. In more than a century this brand has developed itself to an international brand known for its unique mix of functionality and fashion. Here, you can find Gaastra sweatshirts, t-shirts, polo's, pullovers, etc.